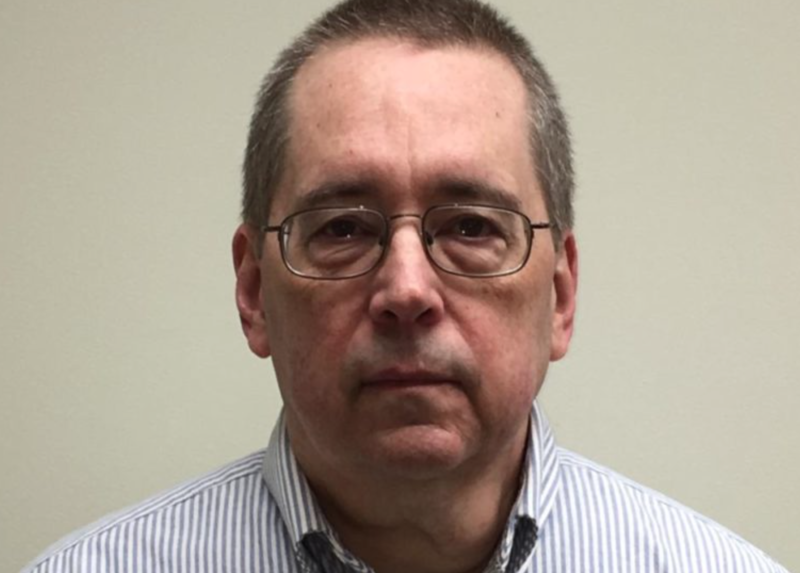 BROOKVILLE — A former Catholic priest for four decades in the Diocese of Erie, David Poulson, was sentenced today to two-and-a-half to 14 years in prison for his repeated sexual assaults against one boy and the attempted assault of another boy. Poulson was sentenced by a Jefferson County Common Pleas Court judge for corruption of minors and endangering the welfare of children – both felony crimes. Poulson was taken immediately into custody after his sentencing. The victims were eight and 15 years old at the time of the sexual offenses committed by Poulson against them. “Poulson assaulted one of his victims more than 20 times in church rectories,” said Attorney General Josh Shapiro in a news conference following Poulson’s sentencing at the Jefferson County courthouse in Brookville. Poulson sexually assaulted one victim repeatedly in church rectories at St. Michael’s Catholic Church in Fryburg and Saint Anthony of Padua Catholic Church in Cambridge Springs. The abuse at the rectories usually happened on Sundays after the victim served as an altar boy at Mass. Poulson also assaulted this victim and attempted to assault a second victim at a remote hunting cabin that he owned with a friend in Jefferson County. In an effort to assault them, Poulson would bring the youths to the cabin and watch horror movies with them on his laptop. Since at least May of 2010, the Diocese of Erie under Bishop Donald Trautman knew of Poulson’s predatory tendencies but did nothing to report him to authorities until September of 2016 in response to a subpoena from the grand jury. Trautman himself interviewed Poulson in May of 2010, and Poulson admitted to the bishop that he was aroused by boys. Despite knowing of Poulson’s admission, the priest was allowed by the Diocese to remain in ministry until 2018, when he was finally suspended by Bishop Persico. “For more than seven years, the Diocese of Erie allowed Poulson to remain a priest, even though they knew he was a predator,” Shapiro said. Poulson was assigned to various parishes during his tenure as a priest in the Erie Diocese. His assignments included serving as Pastor of St. Agnes in Morrisdale, St. Michael’s in Fryburg, St. Anthony of Padua in Cambridge Springs and St. Bernadette in Cambridge Springs. He also served as an administrator at St. Francis of Assisi Church, Clearfield, from Aug. 24 through Dec. 3 in 1997. “Two of Poulson’s victims received justice today, and their courage continues to inspire me and every member of our prosecution team,” Shapiro said. In a Victim Impact Statement read at today’s sentencing by prosecutor Daniel Dye, Victim No. 2 of Poulson wrote: “I convinced myself that the road trips, gifts, dinners, etc. were just you being that friend. But it was all for an ulterior motive. Shapiro was joined at today’s news conference by senior prosecutors in the Attorney General’s Office and by Jim VanSickle, who was abused by Poulson as a young man, but whose case was barred by the criminal statute of limitations. Today’s sentencing is the second of a Catholic priest for sexually abusing children in Pennsylvania, based on the work of the 40th Statewide Investigating Grand Jury. Last month, Father John Sweeney of Westmoreland County was sentenced to prison, for sexually abusing a boy while serving as a parish priest. 301 Catholic priests identified as predator priests who sexually abused children. Over 1,000 children abused by predator priests. Senior church officials, including bishops, monsignors and others, knew about the abuse committed by priests, but covered it up to avoid scandal, criminal charges against priests and monetary damages to the dioceses. Priests committed acts of abuse upon children, and were routinely shuttled to other parishes – while parishioners were left unaware of predators in their midst. The Grand Jury recommended reforming the criminal and civil statutes of limitations on sexual abuse in Pennsylvania, among four recommendations. Shapiro reinforced those recommendations today, calling on the Legislature and Gov. Tom Wolf to eliminate the criminal statute of limitations for sexually abusing children, create a “civil window” so older victims could sue for damages, clarify penalties for failing to report child abuse and specify that civil confidentiality agreements do not cover communications with law enforcement. “I stand with every victim and survivor of child sexual abuse, and continue to support the passage of all four reforms recommended by the Grand Jury,” Shapiro said, noting that the criminal statute of limitations prevented his office from charging all but two of the 301 priests identified as predators by the grand jury. Shapiro called on the legislature to renew its work on that specific reform now. “The time of protecting powerful institutions over vulnerable children is over,” Shapiro concluded. “Because of the work of our Pennsylvania grand jury, the men and women of my office and the victims and survivors, we’ve sparked a movement across the country.